The No. 16 Cal women’s golf team season has come to an end. The Bears came up short this past week at the NCAA Regionals on the Shoal Creek Country Club, being one spot shy from qualifying for the NCAA Championships. Cal ended its season finishing the tournament seventh out of 18 teams, with Michigan beating out the Bears on the final day by 10 strokes. Despite the disappointment, there was a bright spot at the conclusion of the tournament, with freshman Marianne Li qualifying as an individual to the Championships. Weather conditions were not as pleasant as strong swirly winds affected the players during the first day of play. The Bears saw Li come out strong shooting two shots over par finishing tied for seventh individually. Sophomore Marthe Wold followed by finishing her day three shots over par tied for 15th. As weather conditions were an issue, the rest of the lineup had an off day as both seniors Carly Childs and Hannah Suh finished seven shots over par. Junior Lucia Gutierrez shot an 80 (+8), in which the entire team finished eighth overall (307) behind Alabama (306) and sixth place New Mexico State (303). Everything seemed fine after the first day with the team only a few shots away from the necessary sixth place to qualify. The required performance carried on to the second day as Cal manage to improve and finish the second day in sixth place (307-307=614, +38). In the second round Li continued her stellar performance as she shot up to par, moving in the individual leaderboard tied for third. It wasn’t the same for the rest of the Bears as Wold shot four shots worse than the first day (75-79=154) and falling off the top 15. Childs improved her strokes by two shots (79-77=156) and Gutierrez improved on the day by one shot (80-79=159). Suh’s struggles continued as she shot 19 shots over par (79-84=164). Despite their mixed results, the Bears still managed to match their first-round score. This was all leading up to the final day as Cal was looking to secure a spot in the NCAA Championships. But the Bears missed out on their potential third straight Final appearance due to Michigan’s superb performance on the final day. Michigan snatched the final spot in the concluding round, beating out Cal by ten shots (300). Li and Wold did their bests to keep the Bears within distance, with both of them shooting a 74. But the rest of the lineup was nowhere near as close to allow Cal to have a chance in qualifying. Gutierrez shot an 83 while both Childs and Suh shot 81s on their last days as a Bears. The feeling of coming up so close to making it to Eugene, Oregon for the Championships must truly hurt. But if there is one thing that could overshadow the elimination, it is that Li won her first-ever individual title in her Cal career on the final day of Regionals. She shared first place with Florida State’s Matilda Castren and Northwestern’s Janet Mao. 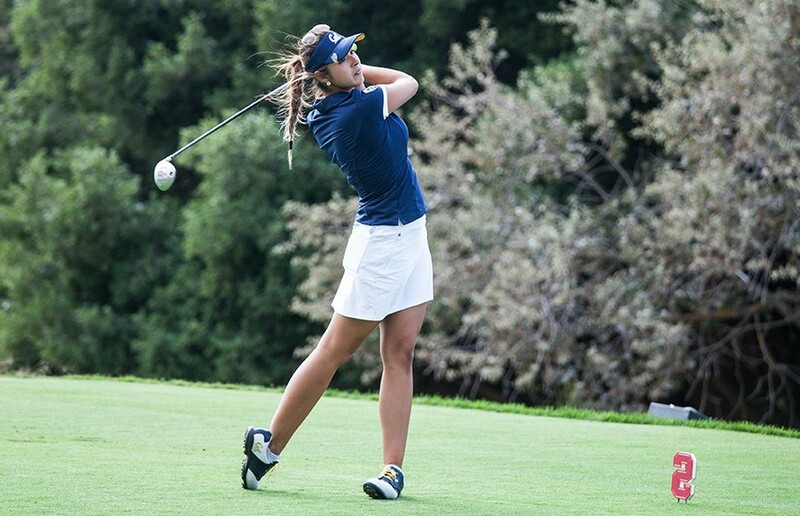 The future of the Cal women’s golf program now rests in Li’s hands.